Holds up to 350 lbs. comfortably. Oversized frame fits a variety of body types, shapes, and sizes for long periods of time. Zero gravity featured backing supports spine while providing gentle comfort for sensitive joints. Sturdy frame resists shaking, tilting, or wavering, even on uneven surfaces. Swivel locks hold seating position in place. Extra long body provides comfortable seat for those with longer limbs. Steel frame has guaranteed warrantee for any wear and tear throughout the first year of ownership. 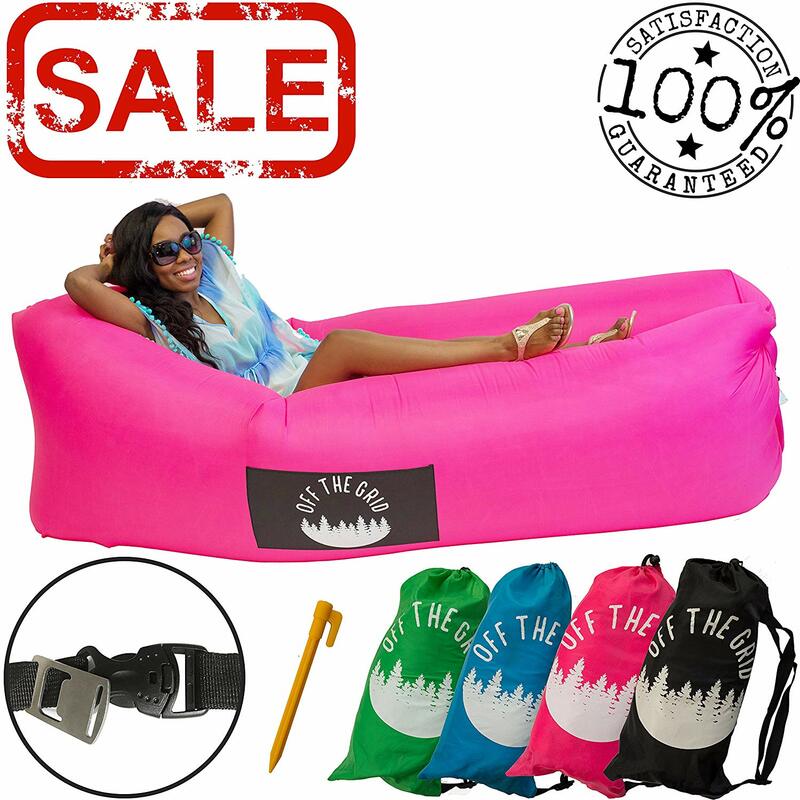 This is the summary of consumer reviews for Timber Ridge Zero Gravity Patio Lounge Chair Oversize XL Padded Adjustable Recliner. The BoolPool rating for this product is Very Good, with 4.40 stars, and the price range is $120.00-$137.00. 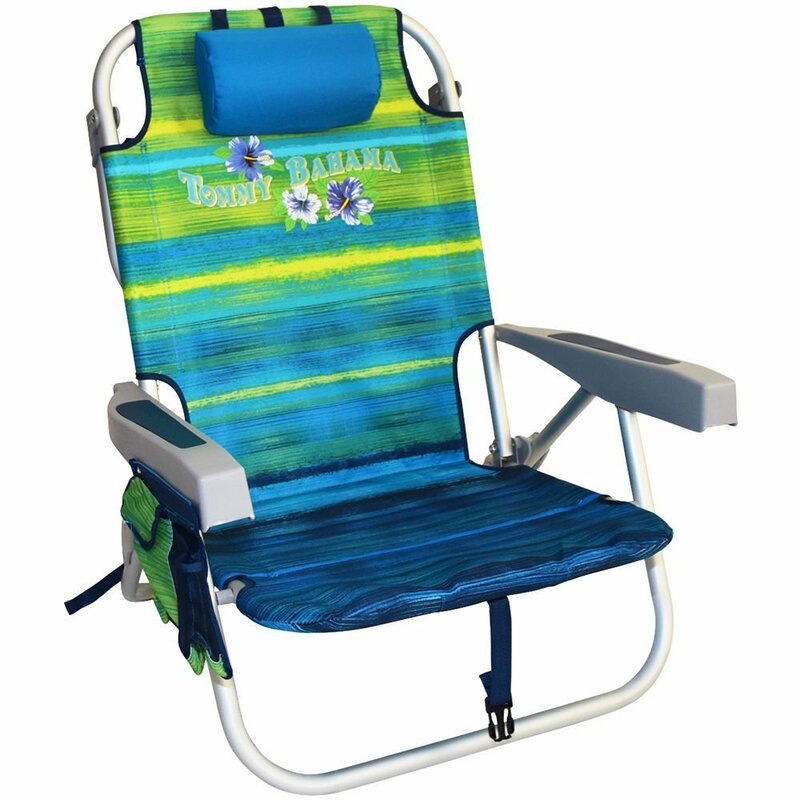 Folding travel chairs usually focus on the convenience factor over comfort, but that is not the case with the Timber Ridge Gravity Patio Lounge Chair Oversize XL Padded Adjustable Recliner. This reclining lounge chair focuses first on comfort and is specifically tailored to those who need more ergonomic support, with a zero gravity design that protects an individual’s back, lumbar spine, and joint system gently with an elastic-type suspension back. 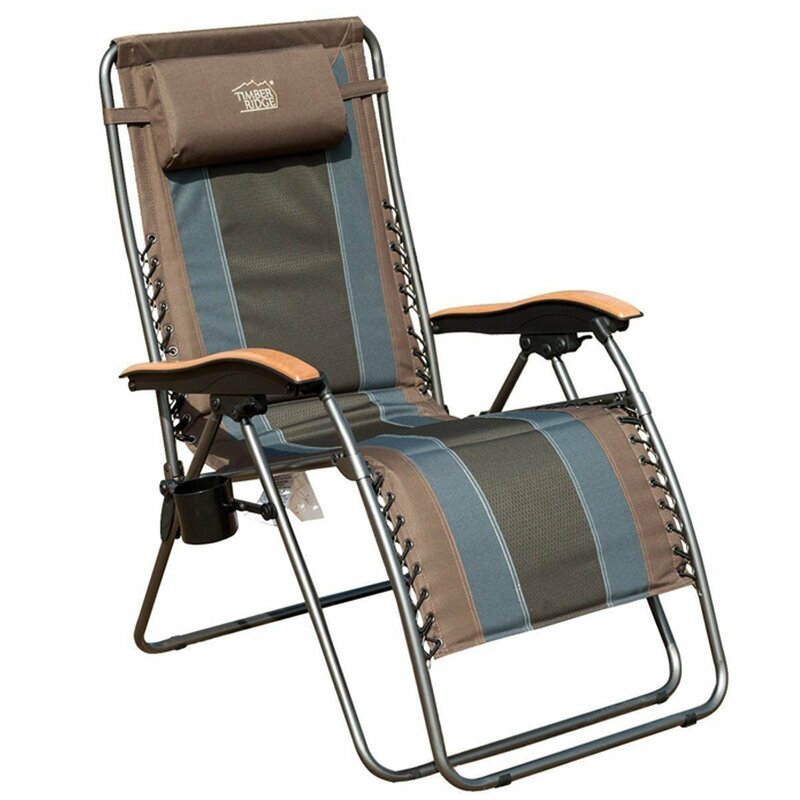 This rugged-looking chair is versatile for people of all heights, including the extra large in length design. 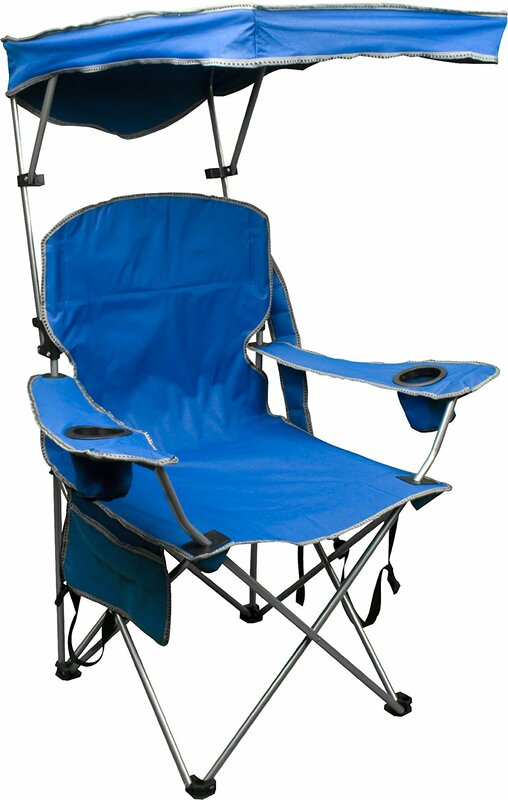 Customers say the chair rarely tears or breaks because of weight and hold an above-normal weight limit compared to other folding chairs on the market. The model also has extra features like a cup holder and padded headrest for extra comfort and convenience. 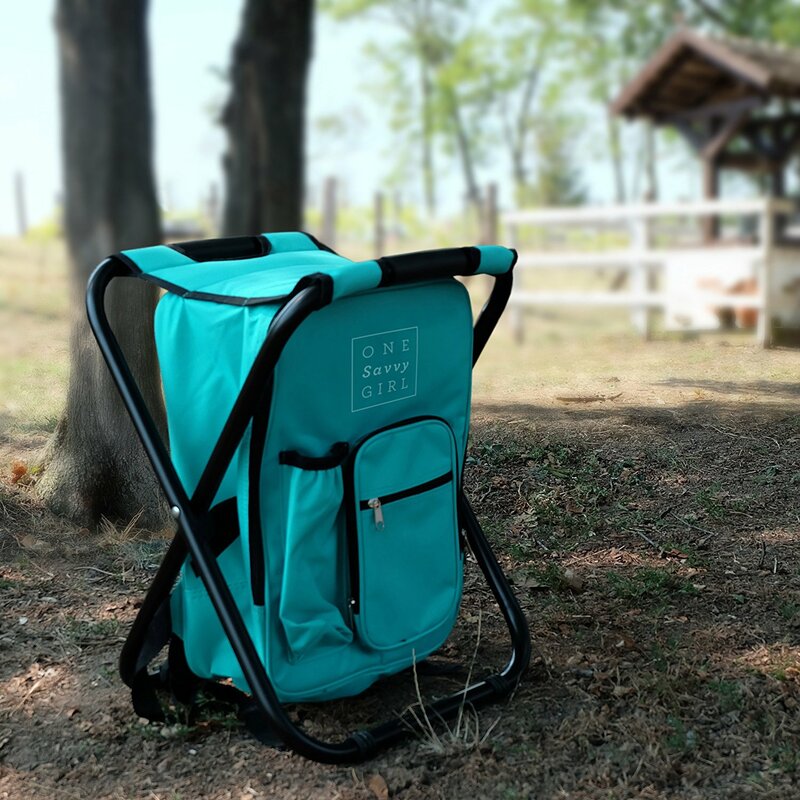 Because the chair is longer, slightly bigger than a normal folding chair, and more advanced in nature, its carrying weight is slightly heavier, making it more difficult for smaller individuals to tote to the great outdoors. Also, the zero gravity feature may be a bit tricky for some to get used to right away. Overall, most customers say paying a little extra in price for an ultra-comfortable and supportive chair is well worth it, especially for those who spend lots of time outdoors. Especially for those with sensitive backs, a zero gravity chair made with such high-quality materials such as this one is worth the investment. Received yesterday & it's really a QUALITY zero gravity chair. I've had these chairs less than a year and they're dry rotted, the fabric is tearing and splitting. We'd them over 6 years and they'd a good deal of wear and tear on them. Great chair..very well made...will support the 350 lbs it's rated for. Very good and comfy chair! Quite comfy but the lower bar that supports my feet and lower legs while reclined needs padding. After using for two weeks, I decided to add some review to it cause it's soooo comfy! This should be a standard accessory along with removable arm pads to cushion the arms. 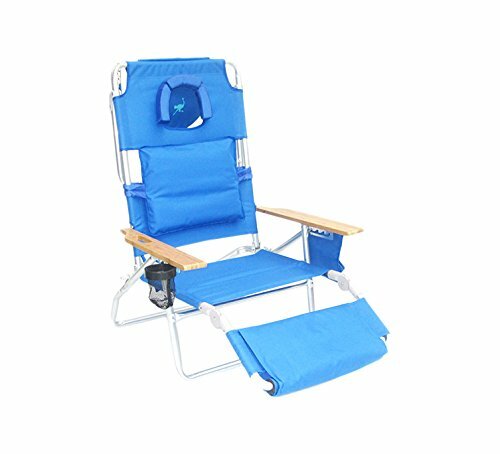 I've severe Rheumatoid arthritis so need a chair with arms, at least 16" off the ground, that allows me to get my feet up, Oh and be a folding portable chair that's wide/sturdy enough for a plus size girl like me! I'm so happy, it's super comfy and even with my bad knees I can still get in and out of it. The chair is super solid. Rivets that hold fabric rusted within a few weeks. The wood armrest clear finish faded writhing weeks also. given that it's made in china don't expect much from the directions although it's easy enough to operate. I'm 325 lbs and feel completely safe reclining in this as its frame is sturdy with no wobbling. It seems very sturdy and I'm a 300 lb guy. I'm a big guy and it easily fits my 6'5" 300lb frame. Product listed as 350 lb capacity. I'm well under 350 lbs and the chair collapsed while I was laying in it. Better than my 10 year old lafuma, I'm 6'2 250 lbs and works great. Just about to buy two more like this but with the side table because thatÃÂÃÂÃÂÃÂÃÂÃÂÃÂÃÂs the only thing this chair needs to be the ultimate. The chair arrived in a timely fashion. From time to time I even use it indoors. Chair is very nice and comfortable but the wooden arms deteriorated after they got wet the first time it was rained on. He set it by the deck for his resting time. 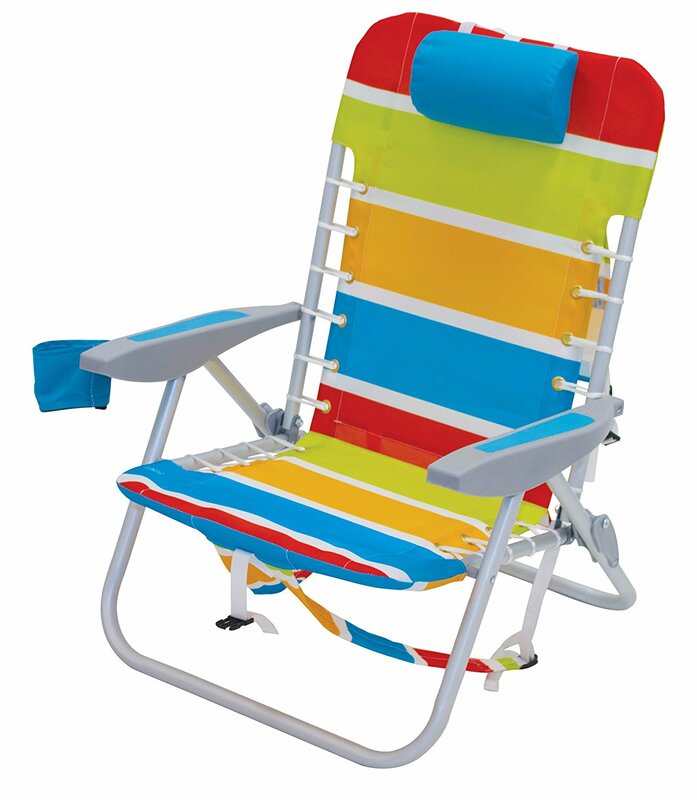 This chair is easy to sit in for longer time periods, and light weight for travel. I can bring it for my camping time. Another word of caution is that the chair is a bit heavier than others (probably due to its quality construction) Although it took me numerous times before I could feel comfortable moving through the various sitting positions with ease as well as unfolding the chair to sit on, it the chair is very comfortable. I like the chair and won't return it, but I look like a pillow whore by the time I get completely comfortable. As for the material - I spilled on it the first time I used it. It's durable, has a pleasing color scheme, and a built in cup holder. Rugged canvas, perfect attached pillow, drink cup holder on side. Love the cup holder too. Has swivel locks to hold position and a flimsy cup holder. The chair even comes with a removable cup holder, and what's better is the cup holder has a slot so if your cup has a handle it'll fit in it nicely. Just a clip on cup holder. It also comes with a cup holder, that was a good size and locks to keep the chair in place, if you find the perfect incline. It's nice wooden handles and even came with a cup holder to fasten to the side. It comes with a cup holder that attaches to the side of the chair near the arm rest. It fits my admittedly heavy body comfortably, and is quite sturdy. I can't sit for long period of time and this chair helps ease my back pain and allows me to sit for hours on end. The chair is sturdy when u sit or recline on it. The chair can be adjusted to different positions when u sit or recline on it. Therefore you can't enjoy the foot rest while sitting upright reading a book. The quality looks so nice. I never ever sit in my couch. Very comfy you won't want any one sitting in your chair lol. I use on my backyard patio and it looks as good as it sits !. It's very hard to lock into place and is difficult to go from reclining to sitting forward in order to get out of it. The added padding adds a extra little bit of comfort that makes sitting in this very comfortable. The wooden arms are curved & fairly comfortable. He says it's comfortable, and he really enjoys the recline feature. This chair is comfortable while adding lumbar support. It's larger than most I've tried, fits me better, fairly comfortable. This chair is very lightweight, and super comfortable. 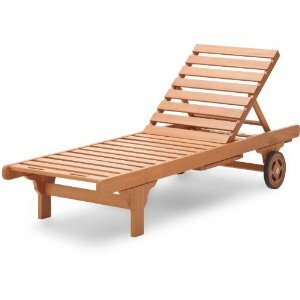 Awesome chair, great quality, very comfortable and the wooden arms makes it feel and look rich!. I weigh 250lbs and this chair is extremely comfortable & roomy. Super comfortable and sturdy construction. It's very comfortable and sturdy. Seems very welll built with strong seating material (and comfortable), well secured by being tied into the metal support beams. Seems well made and is very comfortable. 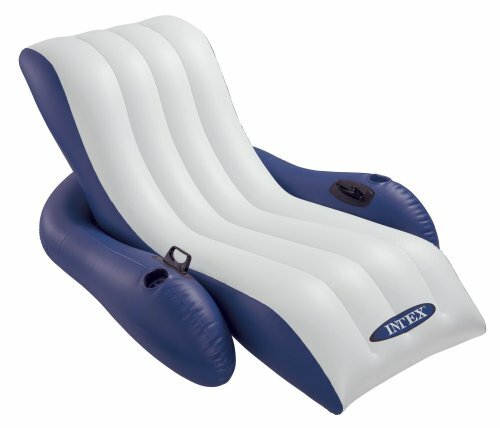 it was GREAT until yesterday, beautiful, sturdy, well made, easy to use, extremely comfortable. Very comfortable, well built and good design. This's a very comfortable and sturdy lounge chair. This chair is extremely sturdy and well crafted. It seems to be well made, and it's very comfortable.